There are three types of radiation: alpha, beta and gamma. 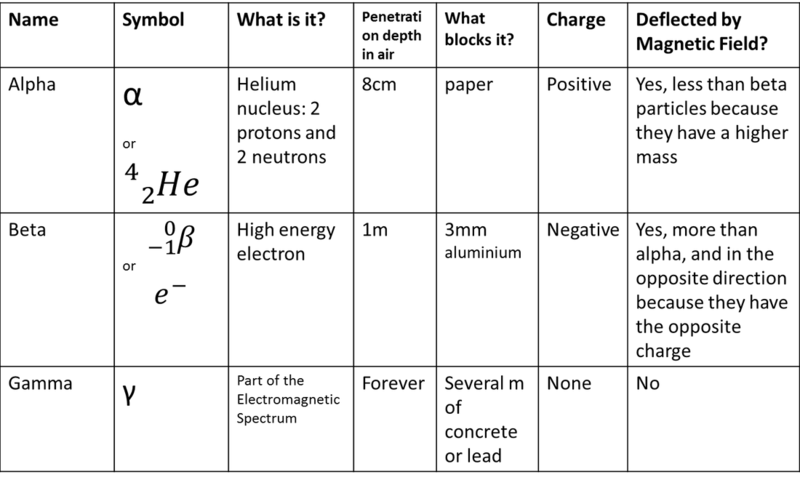 Their properties are shown in the table below. 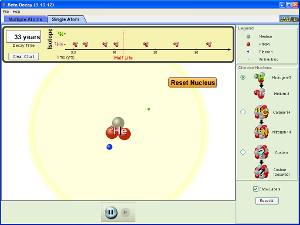 In alpha decay, an alpha particle made up of two protons and two neutrons is emitted by the nucleus. 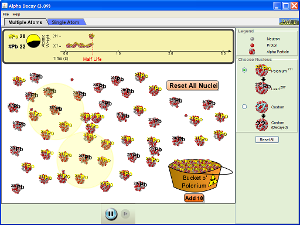 The atom left will have a mass number of four less and an atomic number decreased by two. In beta decay, a neutron changes into a proton and an electron. The proton stays in the nucleus but the electron is emitted as a beta particle. The new atom will have an atomic number increased by one and the same mass number as before. In gamma decay, the nucleus loses energy as electromagnetic radiation. The atomic structure remains unchanged so there is no decay equation.